Cancer Charity Maggie’s has opened its first building made from hardwood cross-laminated timber (CLT), designed by dRMM Architects. Maggie’s Oldham was designed with support from the American Hardwood Export Council (AHEC) and, while architecture and design play a central role at all Maggie’s Centres around the country, the Oldham centre has proved as a pivotal moment for contemporary architecture and construction. The building is constructed from panels of five-layer, cross-laminated American tulipwood. American tulipwood CLT was pioneered in 2013 by dRMM, AHEC and Arup for strength, lightness, speed of construction and sustainability and its first public experiment was The Endless Stair, created during the London Design Festival 2013. According to the Wood Housing Humanity Report 2015, wood has more health and wellbeing benefits, including reducing blood pressure and operation recovery times, than any other building material. And while tulipwood is one of the most sustainable timber species – thanks to the speed of replenishment, through natural growth alone – the engineered timber option became an obvious feature for the project. 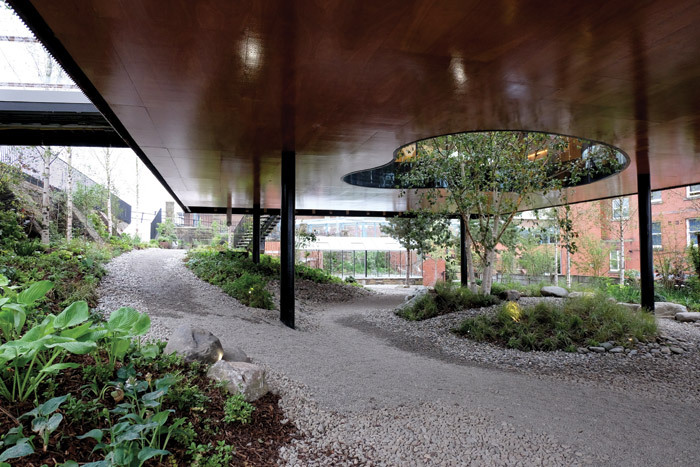 A curved-glass feature inside, in the centre of the building, brings in nature. 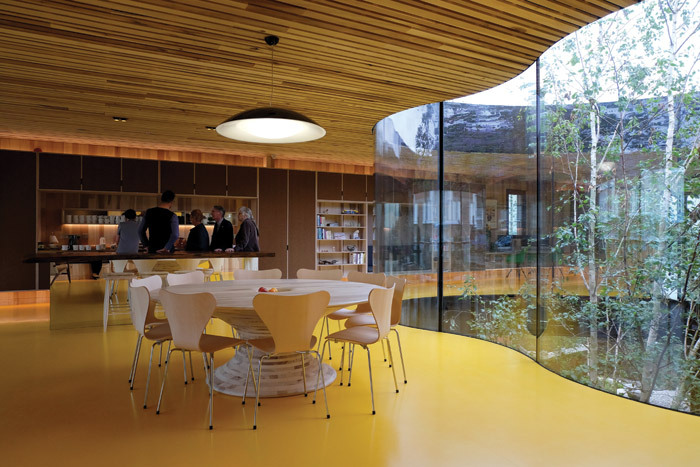 The Maggie’s well-known kitchen table, at which visitors are encouraged to sit, is to a design by Barnby Day that was commissioned by Alex de Rijke and AHEC for the Wish List project for the 2014 London Design Festival and is built by Benchmark Furniture from recycled tulipwood CLT. 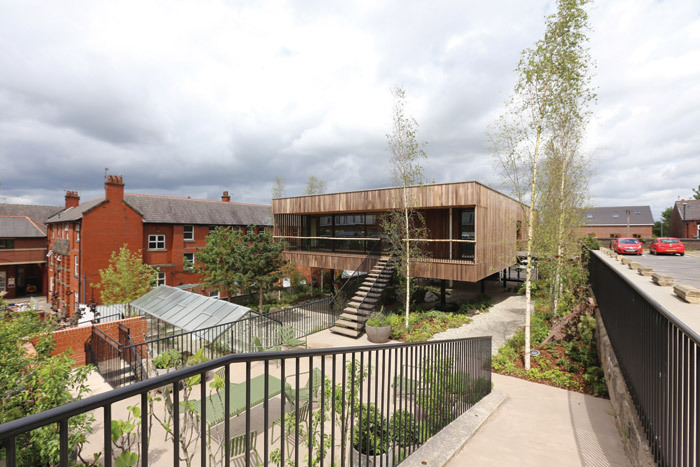 Maggie’s Oldham is an especially important development, showcasing a decade of structural timber innovation and one that can broaden the use of CLT in the construction industry. The creation of this product and significant use of hardwood will transform the way architects and engineers approach timber construction.